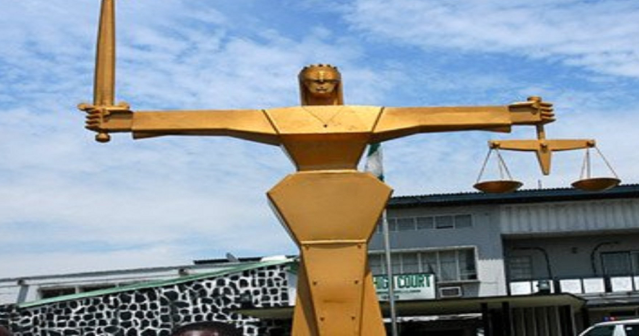 There was confusion at Oja-Oba Customary court Wednesday as an Arabic teacher, Malam Bashiru Yekini and Oluwasegun Olalekan, disagreed over the legal husband of a woman, Mariam. In a suit number 484/2018 filed by Malam Bashiru Yekini, he sought for dissolution of their marriage and custody of the only child in the marriage. Yekini in the suit said he paid the bride price of Mariam to her family in 2014 and she had a baby named Abdleganiyu Yekini for him. Mariam had earlier told the court that Malam Bashiru Yekini was her father’s spiritual father and not her husband, adding that she didn’t have a baby for him as claimed. She further confirmed to the court that Oluwasegun was her legally married husband and not malam Yekini. Reacting to his claims, Oluwasegun said he was the recognise husband of Mariam by her parents and she had two children for him. He gave the name of his first child as Victoria while he said the second child was Olamide. The president of the court, Chief Odunade Ademola adjourned the case till October, 2018 for further hearing. He ordered the plaintiff, first and second defendants to invite their parents and the children to court for more clarification on the next adjournment.